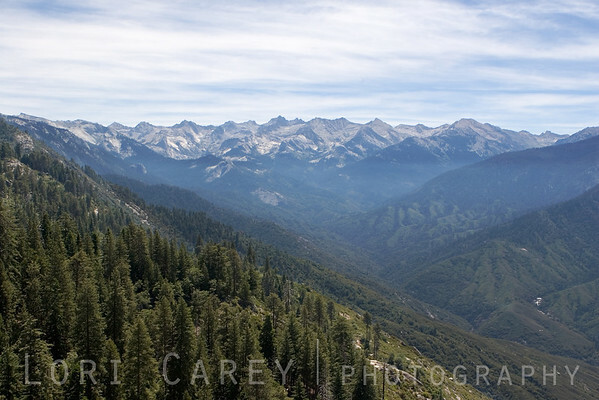 View of the Great Western Divide from Moro Rock. Moro Rock is 6725 feet high. The summit can be reached via a stairway cut into the side of the mountain; the quarter-mile climb ascends 300 vertical feet.